Amaiya Zafar is no ordinary boxer. 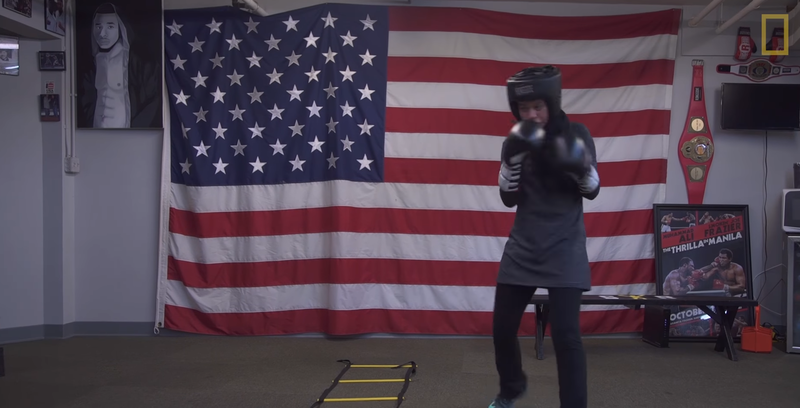 The sixteen-year old fighter, from Oakdale, Minneapolis, has aspirations of fighting for the United States in the 2020 Olympic Games in Tokyo. The promising flyweight boasts a stiff jab and fast hands, a mean right cross, and the discipline and love for a sport that separates the women from the girls. Zafar is also a Muslim. Following in the footsteps of celebrated Muslim boxers, including the iconic Muhammad Ali and his daughter Leila, the most famous female fighter in the sport’s history. Although Muslim fighters are common within the sport, and the sport’s most transcendent figure an unapologetic and revered Muslim, Zafar’s burgeoning boxing story is an uncommon one. She wears the hijab, the headscarf many Muslim girls and women wrap around their heads to express their religious devotion, outside and inside of the ring in her campaign as an amateur fighter. Eyeing a run to make the 2020 USA Olympic Team, Zafar recently confronted her most difficult fight: lobbying the U.S. Boxing Commission to allow her to compete with her headscarf, and additional clothing to cover her arms and legs in line with her religious convictions. Like their male counterparts, the Boxing Commission mandates female (amateur) fighters to wear shorts and a tank top, which exposes their legs, arms, and shoulders. Zafar won a partial victory on April 20, 2017. USA Boxing said it would accommodate Zafar, allowing her to wear her headscarf and additional layers of clothing in commissioned bouts.It proved to be the biggest victory of her emerging boxing career. Before the ruling, USA Boxing’s strict uniform rules posed a difficult ultimatum for Zafar: choose between the religion you love, or the sport you love. An existential dilemma many Muslim Americans in Trump’s America can sympathize with, burdened with the reality that conspicuous expression of Muslim identity invites greater likelihood of state suspicion and private backlash. But aside from the perils posed by outward expression of Muslim identity, Islam also provides solace and safe haven during moments of crisis, and for fighters inside and outside of the ring, a source of principled resistance. “My hijab is, like physically, the scarf I wear on my head. But it’s also my attitude. How I act,” Zafar stated, affirming that headscarf is central to her identity as a Muslim and the source of her swagger as a fighter. Amaiya Zafar training. Via her website. Therefore, instead of choosing between the faith and sport she loves, Zafar did what she does best: fight. Punching back instead of going down for the count, and bowing out of the sport on grounds of her religious observance. She fought the USA Boxing Commission to consider a religious accommodation that enables her to compete with a headscarf, additional layers of clothing, and ability to express her Muslim identity inside the ring as unapologetically and abundantly as she does outside of it. Although a string of Muslim boxers competed in the squared circle before her, Zafar was the first to fight for such an accommodation. Making her bout even more difficult, the young boxer stepped up during a moment of intense American Islamophobia, ushered in by a presidential administration that vilifies Islam by way of hateful rhetoric, executive orders, and state policy. Despite the intense Islamophobia coming from the state and hatemongers, and the frightening uptick in hate crimes targeting Muslim women and girls that wear the headscarf, Zafar punched back, pushed forward, and fought. Zafar’s words, dished out with the confidence of a fighter and the spirit of a teenager, captured the essence of the First Amendment’s Free Exercise of Religion Clause – the constitutional provision that furnishes every American with the liberty to observe, and outwardly express, their religion without state interference. Yet, the USA Boxing Commission did not see it her way early on. Last year, Zafar was restricted from competing in a commissioned tournament in Kissimmee, Florida. Although she trained for weeks, made weight, and was ready to take on all comers in her division, the Commission disqualified her for wearing a hijab underneath her headgear. Despite losing the first round, Zafar took it on the chin and fought onward. And won. On April 20, USA Boxing announced that it would accommodate Zafar, allowing her to wear her headscarf in commissioned bouts. USA boxing also revealed that it would implement a formal religious exemption to its dress rule, to go in effect in June 2017. These reforms, which enable Zafar to compete for a coveted spot on the 2020 Olympics USA Boxing Team, also accommodate fighters from other faith traditions that outwardly express their convictions by way of grooming or dress to compete in the sport they love without compromising their faith. Therefore, Zafar not only blazed a path for Muslim American women and girls that wear the headscarf to have an opportunity to realize their dreams, but also fighters of other faiths to do the same. However, the AIBA, the boxing commission that oversees international boxing, must formally enact similar provisions allowing for Zafar to compete in sanctioned bouts, including the Olympic Games. But, if her track record proves anything, Zafar won’t back down from this fight. “Boxing is not a game. It’s a fight,” Zafar shared. 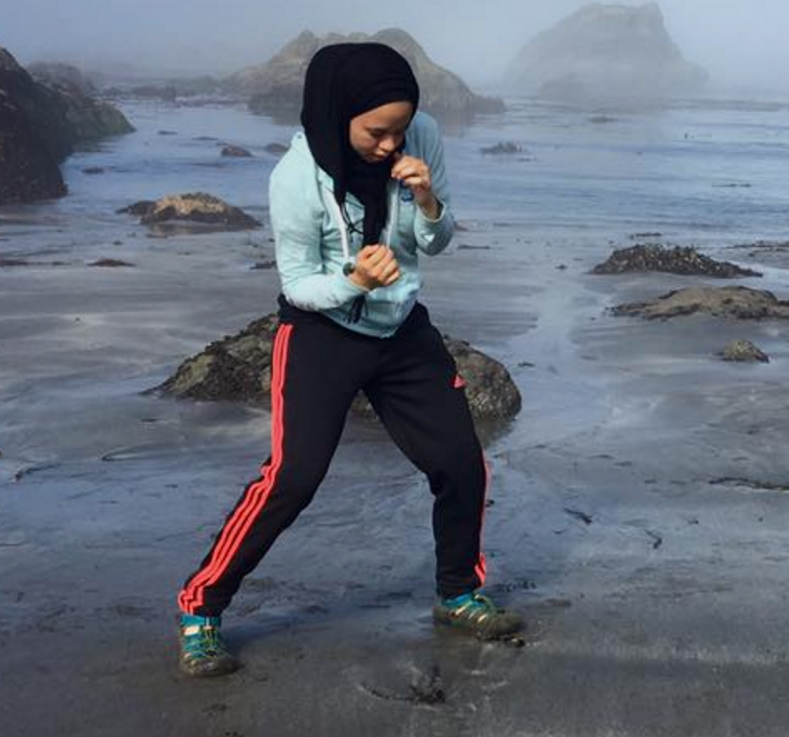 And if her fighting spirit and stance against the USA Boxing Commission is any measure, the young Muslim fighter and trailblazer may be poised for Olympic glory in 2020. She has already won the hearts and support of Muslims everywhere, and has inspired others to fight against stereotype, scapegoating, and seemingly insurmountable odds. *Image: Amaiya Zafar training. Screenshot via National Geographic Youtube. 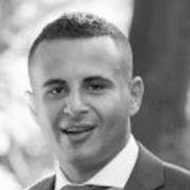 Khaled A. Beydoun is an Associate Law Professor at the University of Detroit Mercy School of Law. He is also Senior Affiliated Faculty at the University of California-Berkeley Islamophobia & Research Documentation Project. He tweets @khaledbeydoun.